Most Americans seem pretty content with believing everything they were taught in school about the moon landings. But a professor of physics from the Ukraine has rocked the internet by presenting an alternate theory that goes against probably everything you think you know about the Apollo missions, as well as the widely believed claim that American astronauts were the first to touch the lunar surface. 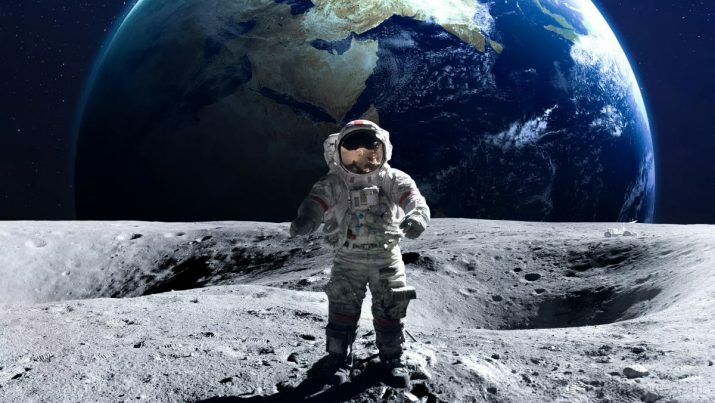 Professor Oleg Oleynik, Ph.D.c, from Kharkov State University evaluated a series of photographs said to have been taken on the moon during these famous space voyages. Using multiple validation methods to determine the true size, scope and proximity of various two- and three-dimensional objects as seen in the photos, Prof. Oleynik made some interesting discoveries that are worth considering (and that call into question other space claims). As a rule of physics, objects in the background of two photos like this that are closer than 2 kilometers away (or approximately 1.25 miles) will appear to shift slightly as the camera is moved. On the other hand, those objects that are further than 2 kilometers away in two photos like this will appear to remain stationary. Based on everything we know about the size of the moon, this should also be the case if photos such as the ones that were supposedly taken during the Apollo missions are valid. In the above photos taken by Astronaut Dave, the rising terrain in the background should be far enough away as not to move between the two photos. But Prof. Oleynik discovered through his advanced analysis techniques that not only does the mountain move, but so do the shadows and other visible features. This suggests that rather than being some distance behind Astronaut Dave, the mountainous terrain is mere yards away – which further suggests that rather than having been taken on the moon, such photos were likely taken in a studio space on earth that was craftily designed to resemble the moon. “[W]ith such a small alteration to the camera position in Dave’s hands (several tens of centimetres), the mountains should not move, they should remain static (zero parallax),” writes Prof. Oleynik in his analysis. “These pictures were, without doubt, taken in a studio set – up to 300 metres in size,” he adds. “Despite a slight offset of the camera, the mountains are moving, which contradicts the condition of distant mountains,” explains Prof. Oleynik. His full report is available at Aulis.com.